You might see a few people waiting outside of Bakers & Co before they open, and for good reason. The small, family owned bakery and café bakes homemade bread and pastries and serves fresh, locally roasted coffee. All of the bread here is baked fresh daily, from baguettes to levain to boules. There are also special selections only baked and sold on Saturdays. Stop in for breakfast and enjoy a handmade pastry with your coffee or latte. Strawberry scones, almond croissants, and blueberry muffins are all popular choices, but don’t leave without trying the market bun – a cinnamon dusted, buttery piece of heaven. 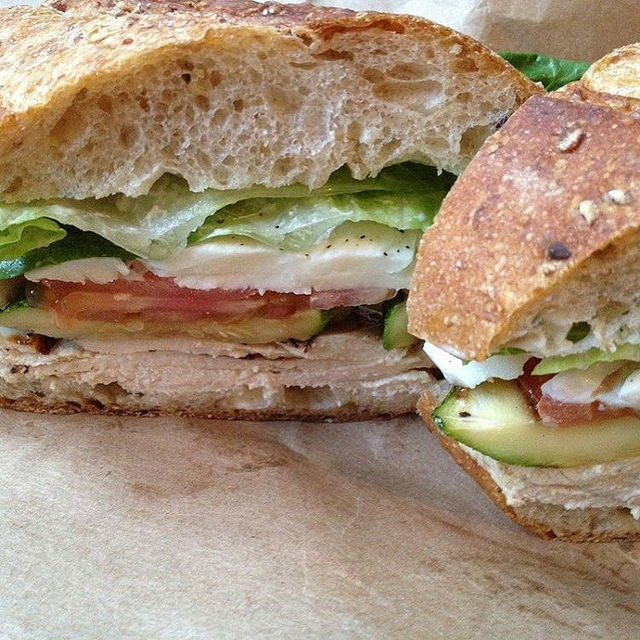 Bakers & Co also serves savory items like soups and croissant sandwiches. There is seating inside and outside, and limited parking along Chesapeake. Bakers & Co is open Wednesday through Sunday, and can also be found at the Anne Arundel County Farmers’ Market on Saturday mornings.